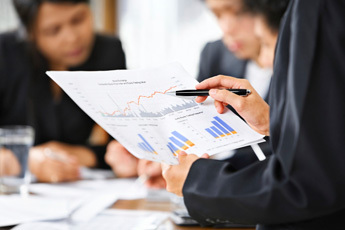 Any Company or Firm having a basic taxation Income over Baht 1,200,000.- in a year must register their VAT (Value Added Tax of 7% of basic tax from sale of merchandise or service fee) Any business practitioner who has Income upto this level must apply for VAT registration with in 30 days and even if the annual income is less than the minimum sale level but such practitioner can apply for VAT registration if they wish to do so. 2. Photocopy of I.D. Card of Tax Payer. 3. Certified letter from the Ministry of Commerce (issued within 6 months)together with Articles of Association , regulation and details of the Objective of the company . 5. Photocopy of I.D. Card , Household Registration of the Practitioner or authorised director. 6. Rental Contract or Letter of Consent from owner of the Building and Household Registration of such Building. 7. Authorization letter (affixed with Baht 10.- stamp duty) and photocopy of I.D. Card of the Authorized person. 8. 3 copies of maps showing the location of the Building. 9. Photograph of the office with signboard name and number of the Building. 10. Late registration must be submitted with explanatory letter , Belance Sheet and Profit & Loss Account. 1. To submit 4 copies of Form Por.Phor.09 or Por.Thor.09 (Photocopy not accepted. 4. Certifled letter from the Ministry of Commerce (not more than 6 months old) in the event of a Juristic Person. 5. Copy of I.D. Card , Household Registration of the practitioner or the authorized director. 7. Renal contract or Letter of Consent to use such place of business and the household registration of the new Building and ownership evidence of the new building and the Consenter. 8. Letter of authorization (affixed Baht 10.- stamp duty) and copy of I.D. Card of the Authorisee. 9. 3 sets of Maps showing the location of the building. (If there is change in the Registration Certificate (Por . Phor 20 or Por. Thor 20) The old registration certificate must be returned in exchange of the new ones. 2. Copy of Por. Por.01 , Por. Thor.01 , (Por. Por. 09 , Por. Thor .09 and registration Certificate Por. Por.20 ,21 or Por. Thor.20 of the Head Office. 3. Copy of I.D. Card , Household registration of the authorized director. 5. Rental contract or Letter of Consent to use the Building together with copy of household registration of the additional branch office. Evidence of ownership of the Building 's owner or consenter. 6. Letter of Authorisation (affixed Bath 10.- stamp duty) together with copy of I.D. Card of the Authorizer. 7. 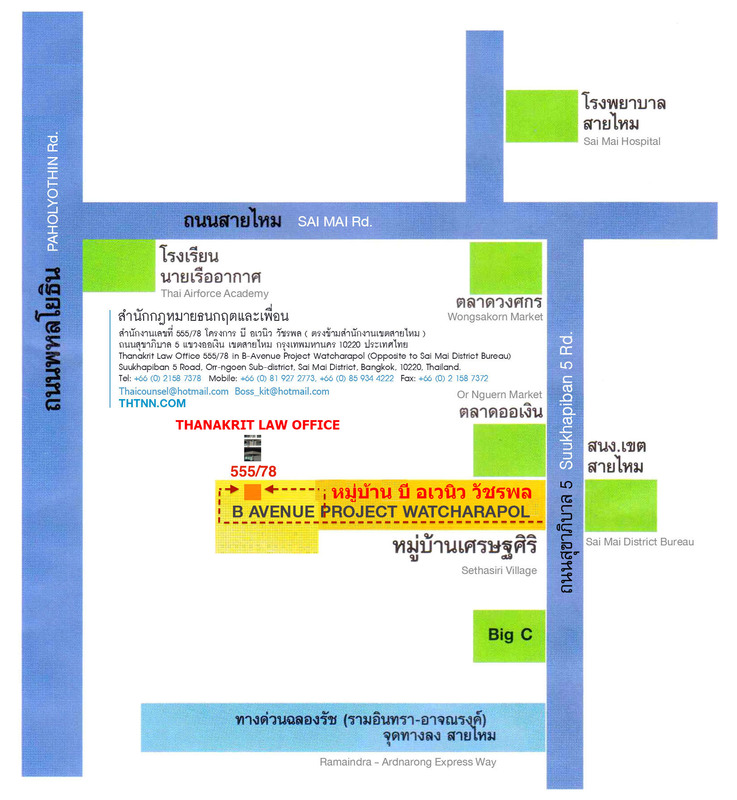 Maps showing location of the office. 1. To return the Certificate of Por. Por. 20,21 or Por. Thor.20) of the closing branch office. 2. Copy of receipt and Income Tax Return (Por. Phor. 30,31 or Por. Thor.40) for the last two years until the closing date of that branch. 2. Copy of trade registration certificate (Por.Phor.20,21 or Por. Thor.20) the original documents must be returned with the moving in documents. 3. Copy of I.D. Card , Household Registration of the director or authorized person to sign on behalf of the company. 4. Certified Letter From the Ministry of Commerce (not more than 6 months old) For moving in now office , must submit also Articles of the Association and Regulation of the company. 5. Copy of Form Por. Phor.01 Por. Thor.01 and Phor. Por.09 , Por. Thor.09. 6. Rental Contract or Letter of Consent to use the Ruilding with copy of household registration of the new building and ownership evidence of the Building or the Consenter. 7. If moving to different Revenue office or up - countey , must show the Duty Paid Receipt (Phor.Por.30,31 or Por.Thor.40) together with copy of receipt for the past two years until present time. 8. Letter of Authorisation (affixed Baht 10.- stamp duty) and copy of I.D. Card of the Authorisee. 9. 3 copies of Maps showing the location of the office. 10. Phtograph of the new office building with company signboard in case of moving in. Must submit original documents and copy must be countersigned with company's stamp on every documents. 6. Report on Basic Tax Value , Stock list , raw material stock, balance of stock as at the dissolution of the company. 7. Report on Purchase Tax , Sale Tax , VAT Invoice on Purchase and Sale. 9. Copy of I.D. Card and Household Registration of the authorised director. 11. Letter of Authorisation ( affixed Baht 10.- duty stamp ) with copy of Authorisee's I.D.Card.